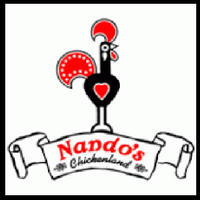 Nando’s originated from South Africa. It is a casual dining restaurant with a Mozambican-Portuguese theme that started in 1987 at the Rosettenville mining suburb of Johannesburg. In 2010, “Advertising Age” named Nando’s as one of the 30 hottest marketing brands and so it is with over 1,000 locations in 35 countries. Below are the latest Nando’s menu prices. Nando’s is most famous for their Peri-Peri chicken which some has described as addictive; and why not? So much effort has gone into its preparation; overnight marinating to get the flavors to the bones, endless basting with Nando’s original Peri-Peri sauce and the expert butterfly-grilling on an open flame. Plus, it comes with honest food serving with not a single drop of preservatives, colorants and artificial flavorings on their fresh chicken that’s never been frozen. A Nando’s will always be a Nando’s where the quality of the food and service will always be consistent because of their high regard for the people who make them. The Nandocas, a name they’ve coined for people working at Nando’s, are inspired by their adventurous spirit and their values of pride, passion, courage, integrity and family. Everyone is welcome at their table and that is why their mouthwatering Peri-Peri Chicken and service that comes along with it is always exquisite at every Nando’s outlet. For more information about Nando’s, visit their official website.